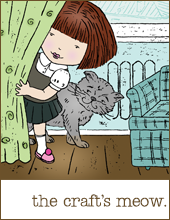 Welcome back for Day 2 of The Craft's Meow July Release Sneaky Peeks!!! I'm super duper excited about today's sneak peeks as I get to share two more fabulous sets with you, one of which designed by myself! This is a diddy 3x3 card. I couldn't resist the cute birdie and loved the idea of him perched on the picnic basket (hopefully there's no worms in there for him to eat though!) I'm also going to enter this into the Moxie Fab World Stamp It! Challenge - Hello Category. 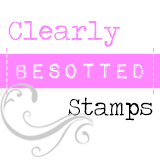 Edited to add: Now I can show you the large stamp this scene was created from as the set is available for purchase! Our next set is called 'One Scoop or Two?' and is designed by me! (I still have to pinch myself to say that y'know!) This set captures what summer means to me: ice-cream! Hee! One Scoop or Two? allows you to custom design your ice-creams to your heart's content - as many scoops as you can handle! Want a cherry on top? Sprinkles? Sauce? A chocolate flake? You can have it! You may even want to add a smiley face! 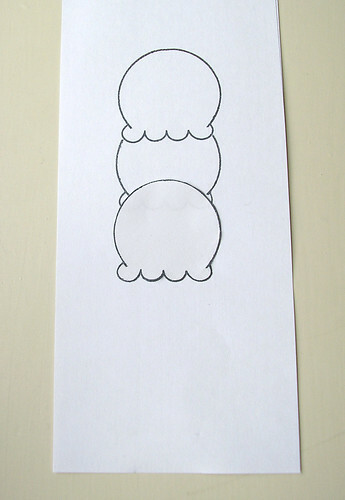 To explain how the set works I've come up with a kinda step-by-step tutorial. You'll notice the set comes with the image of an outline scoop with the top missing. No, that's not a fault with the set, it's a masking scoop! This baby allows you to stack as many scoops as you desire! 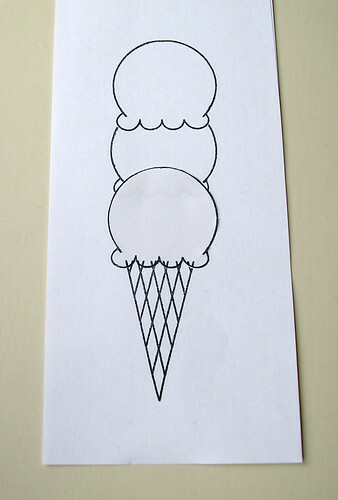 Seeing as I want 3 scoops to my ice-cream, I simply line up the same stamp and place on top of my first scoop. 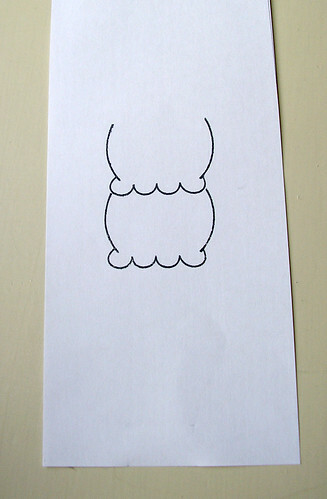 For my final scoop I use the full-outline image of a scoop. For the cone you need to place the mask you created earier on top of the bottom cone. Next, pick your cone (there's a choice with this set!) and stamp, allowing the top of the cone to stamp over the bottom scoop with the mask on. To finish, remove the mask! Thanks so much for stopping by here today! Love the sweet little picnic basket on the first and your scoops of ice cream look divine...I'd go for all vanilla with a fudge crunch on top :) Quick question for you Aimes...did you glossy accent the scoops too? Nice set, Amy!! Love the subtle shadowing of your ice cream and the shiny cherry! 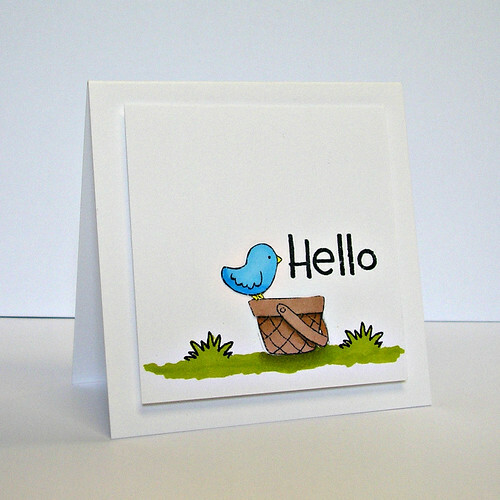 And the sweet little bluebird with the 'hello' sentiment is adorable!! hmm, this icecream would be perfect for breakfast, Duchess! 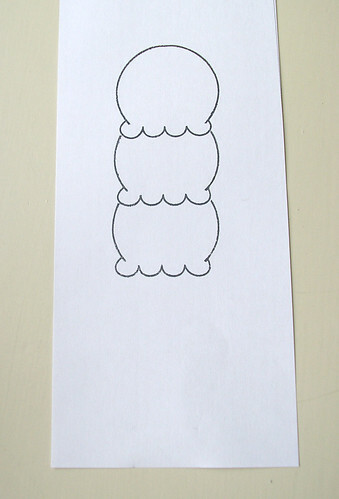 And what a clever addition to add the one with no top, for stacking! Marshmallow Fluff would be a good topping! Another hit! Beautiful cards, love the clean and simple but sweet designs! 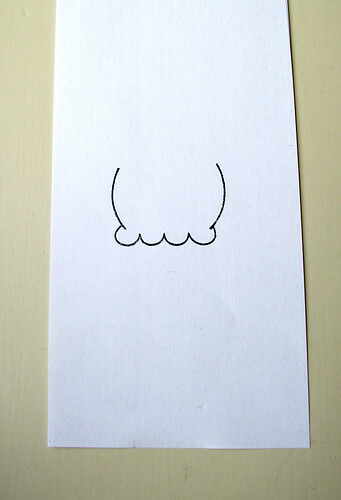 What a happy little birdie hello scene. Congrats on this new ice cream set, so versatile and clever!!! 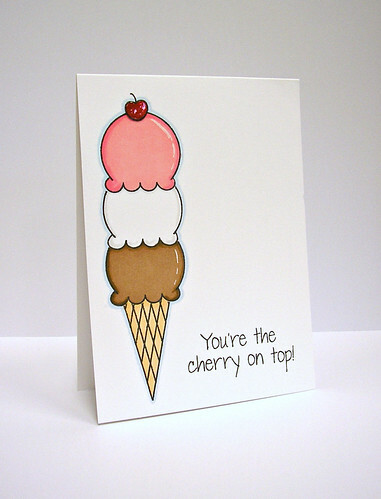 That first card is so sweet and I love your ice cream cones! Great masking and love the glossy cherry! Can't wait to see the full set! 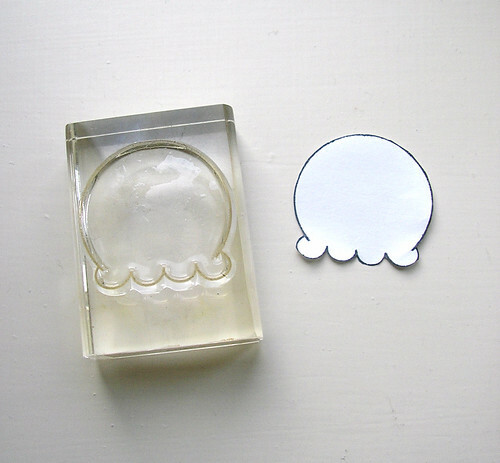 These are fabby, Aimes! I love your new set and had so much fun making my little cones! 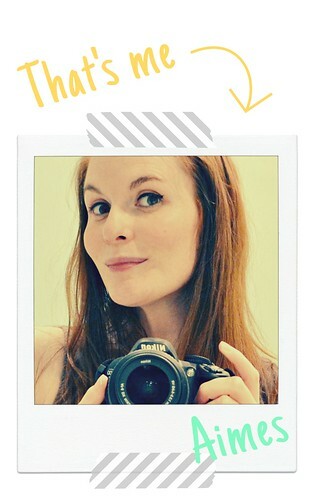 :) Brilliant cards!! Darling stamp set! Wonderful job! thanks so much for the pictures on how to do this! Love the turn out! Sweet sets! Love the birdie, it's so cute. You had me pulling out that first set to see if there really was a bird in there! Wow, awesome use of the set. And your cones are just adorable. wonderful yummy card! 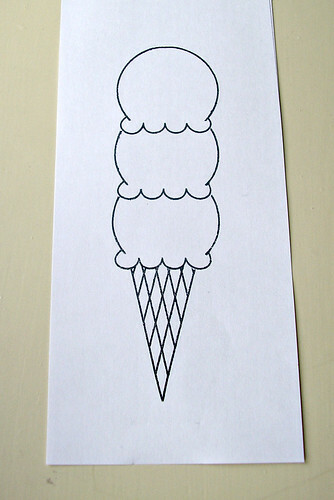 love the ice cream scoop combi on your card. Delicious! Sweet cards, love the new ice cream cones set! Adorable! I love your sweet new set!!!! So many possibilities!!! Arent you clever with the basket?!!!!! Congrats on designing your own set! Wow...very sweet indeed! Love your cards - especially the bird perched on the basket. Too cute for words. Ice cream is just what makes me think of summer too!! Love your triple decker scoop.